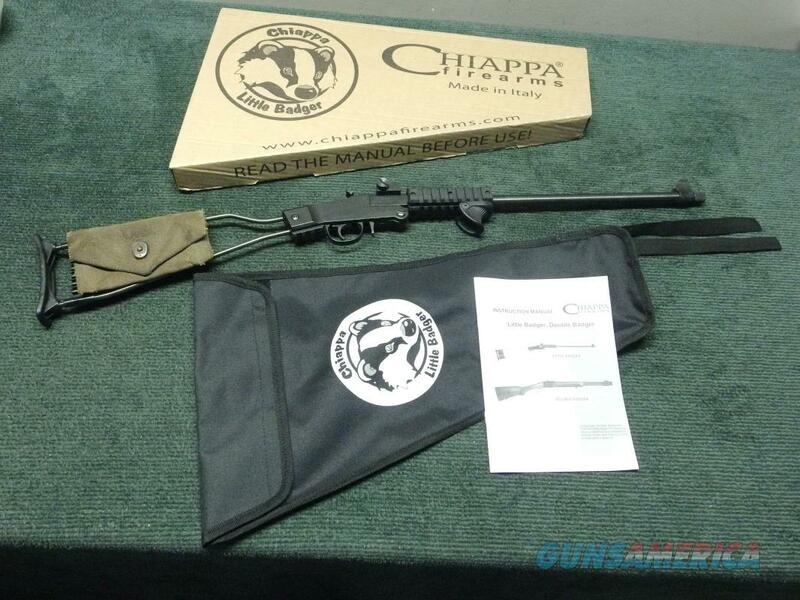 Description: Chiappa Little Badger .22LR; 16.5-inch barrel; with G.I. ammo pouch; as new in box with case. VISA/MC/DISCOVER/AMEX(add 3%); money orders, checks; $35.